We are still struggling with the fact that the sun does not rise here until about 8.25am. It rained quite heavily in the night and was quite cloudy when we woke up this morning adding to the darkness. 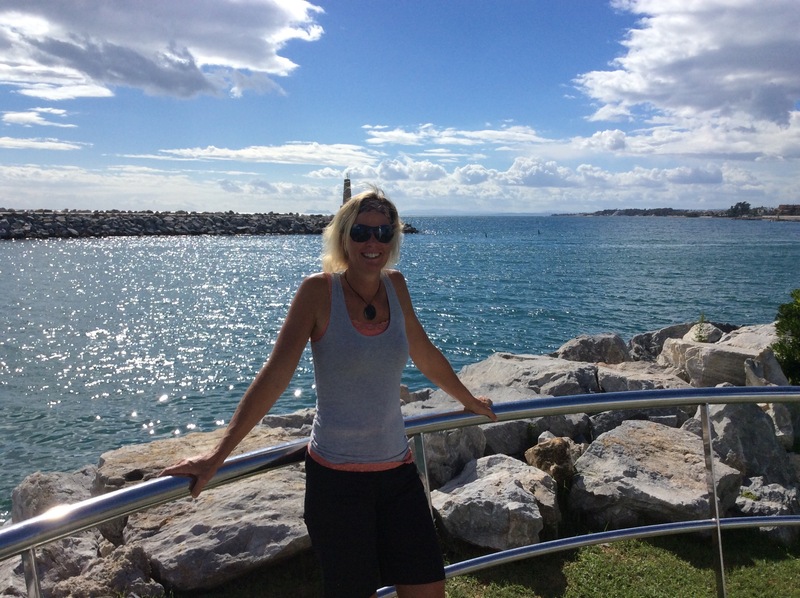 After we finally got moving and went for our regular walk around Sotogrande we decided to check out the large shopping mall near Marbella. It is about 45 minutes from here and was really nice. Steve replaced an old jersey he had thrown out and I continued to avoid all clothes shops – I don’t have any room unless I throw something out which I am struggling with! 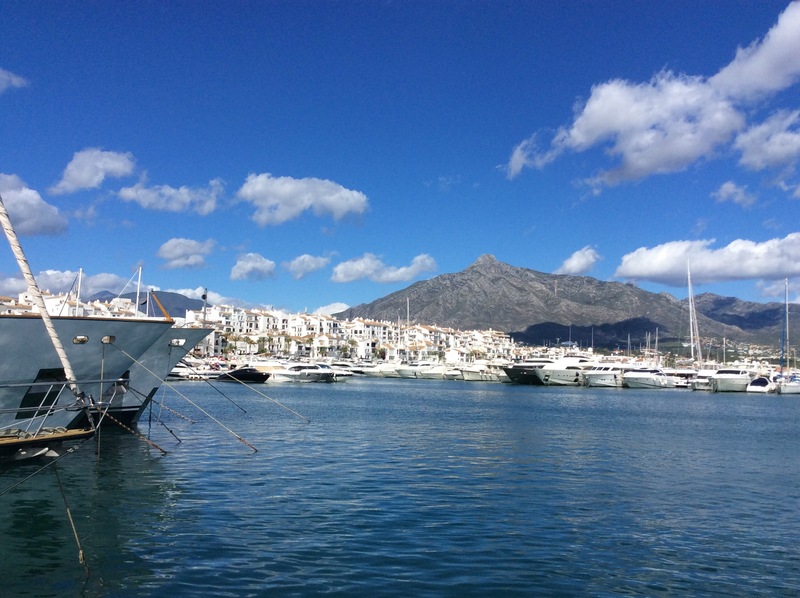 We decided to go down to Puerto Banús for some lunch. We went there the other day after golf but the heavens opened up so we didn’t get to explore. 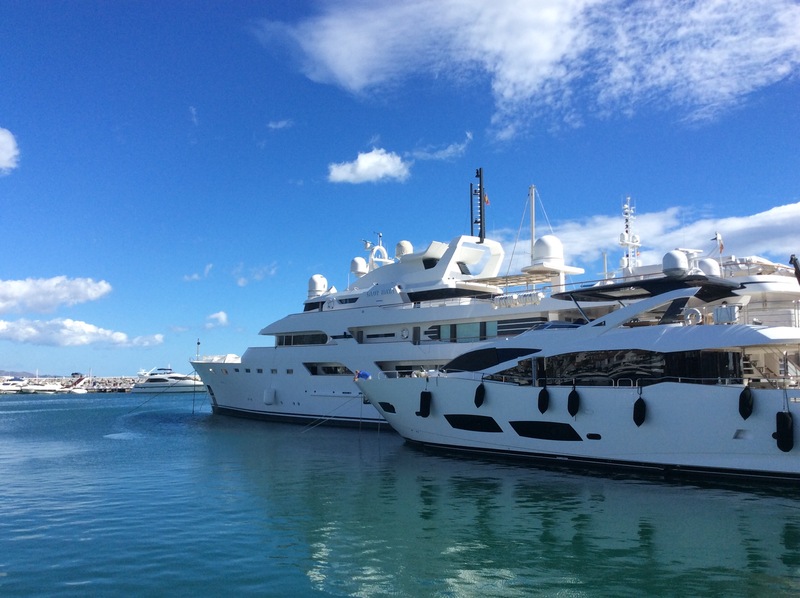 It reminded us of Villamoura in Portugal – lots of restaurants and flash boats in the marina. They also have all the high end shops like Louis Vuitton, Gant, Cartier. We had a nice lunch at The Open Grill. We took a pavement table and were continually waving off the Africans peddling their fake bags and sunglasses.. You wonder how they get away with it with the real mccoy right there in the shops. They obviously don’t have the same laws as they do in France. After lunch we wandered around and looked at all the boats and flash cars that were dotted around – Rolls Royce’s, Ferrari’s, Bentleys to name a few. Puerto José Banús, more commonly known as Puerto Banús is a marina located in the area of Nueva Andalucía, to the southwest of Marbella, Spain on the Costa del Sol. It was built in May 1970 by José Banús, a local property developer, as a luxury marina and shopping complex. It has since become one of the largest entertainment centres in the Costa del Sol, with 5 million annual visitors, and is popular with international celebrities. 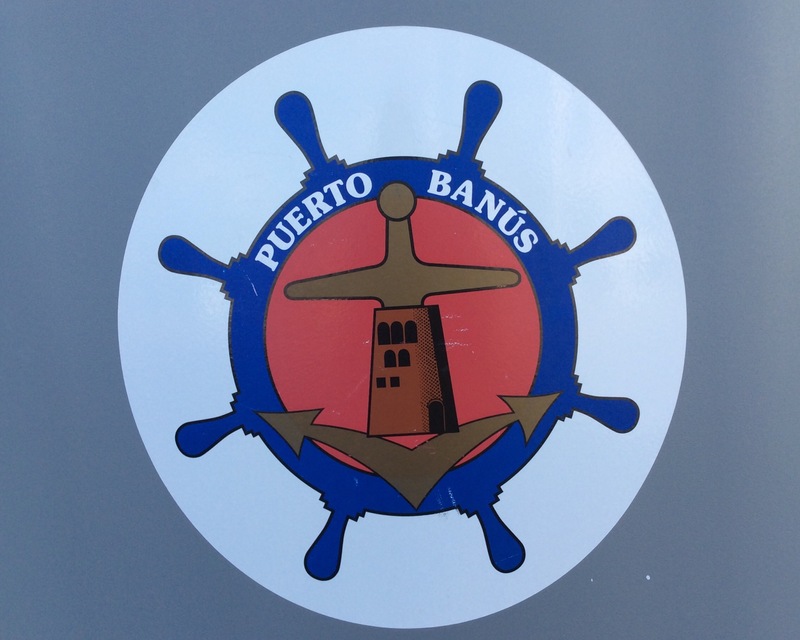 Developed around a coastal village in the Mediterranean architectural style, Puerto Banús contains expensive shopping malls, restaurants and bars around the marina. It is also scene to many exotic cars that are owned by international celebrities and wealthy owners that also own large yachts. 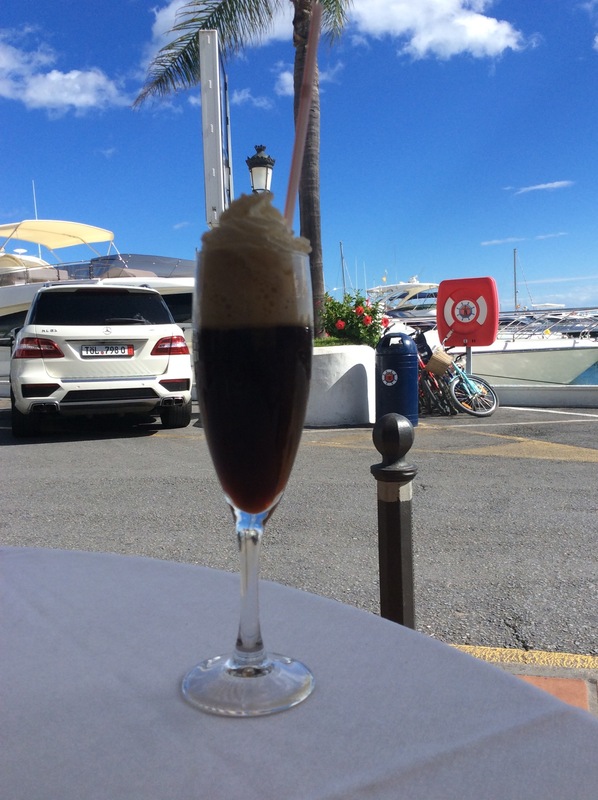 Luxury cars like Rolls Royces and high end sports cars like Ferrari’s, Lamborghinis and Mercedes Benz are a common sight in the summer months around Marbella and Puerto Banús.